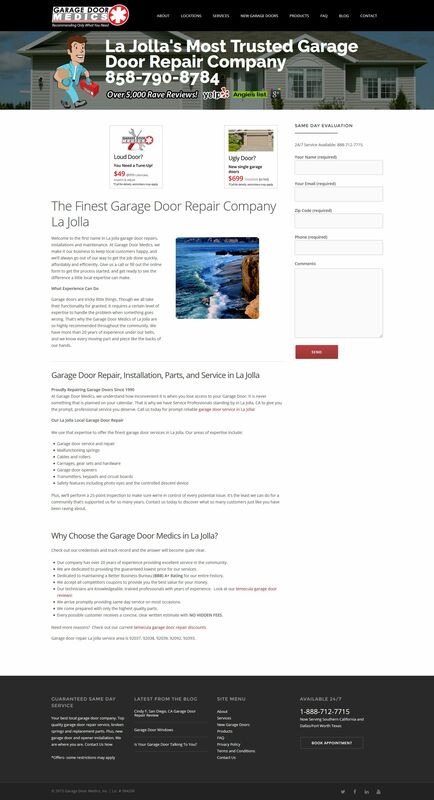 A garage-door installation company using WordPress, Google Analytics, Marchex and more. Garage Door Medics is a company that is expanding from Southern California and into Texas. In that expansion, they want to best track where their customers are coming from and what the most effective methods in acquiring them are. There are several ways to do this, but GDMedics wanted both redundancy and simplicity in their method which already had Google Analytics appropriately set up. Sandia Digital suggested integrating Marchex with the Google Analytics platform. Marchex is a phone-based tracking API that allows it’s users to set up individual phone numbers for relevant website pages/areas. To do this, POST Callback pages were created on the website. The URLs for the Callback pages were then set up in both Marchex and in Google Analytics views, which allowed for GDMedics to track the phone calls on both platforms. The mobile version of GDMedics.com allows for users to quickly tap the phone number in the banner area, rather than search for a phone number everywhere on the website. To best blend the new Marchex phone numbers into their individual area pages, Sandia Digital came up with a simple banner that showed the appropriate phone number for the appropriate area. 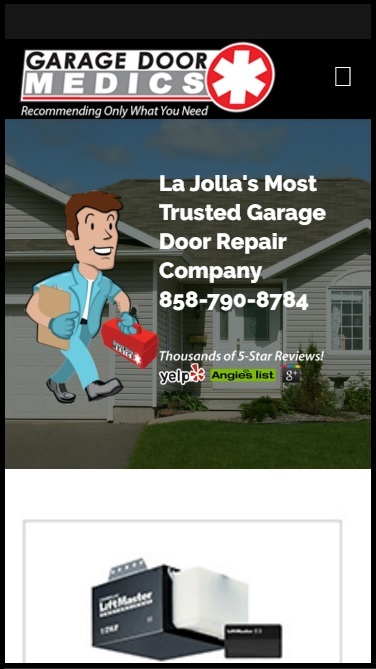 After implementation, Garage Door Medics is very pleased with their results. They are continuing to grow into new markets, and Sandia Digital is with them every step of the way. If you are interested in integrating Marchex or Google Analytics to improve your data handling, contact Sandia Digital to schedule an appointment.